Remember – The campsite is CLOSED from the 1st Nov – 1st March. But gîtes Chardonneret and Héron are OPEN ALL YEAR ROUND. “Thanks for making our first foray into France such a memorable one! Fabulous area, good food, good wine and we’ve met some lovely people. Hope to see you all soon.” Paul & Jackie. Please note our seasons for Gîtes are generally defined as follows, though there may be some overlap – i.e, the end of June and the beginning of September may still be classed as ‘High’ season, depending on where changeover days fall. Changeover day in high season is Saturday, unless by prior arrangement. *Except Christmas/New Year, which is charged at High season rates. Extra Persons 5 years & over - INC. In ‘Low/Shoulder’ season, we reserve the right to limit the number of people per unit to 5, after which charges apply. €0.20 per person (aged 18 & over) per night – campsite. 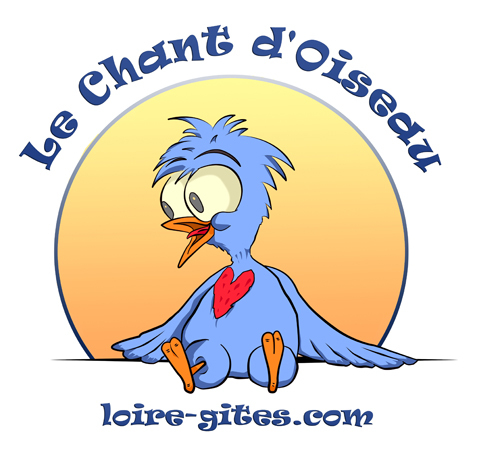 €0.50 per person (aged 18 & over) per night – gîtes. Ask for our detailed route maps of the local area, full of interesting sights marked for you to spot! All our prices are quoted in Euros.